1 - Colonial Golf Course, (231) 873-8333. 2 - Grand View Golf Course, (231) 861-6616. 3 - Golden Sands Golf Course, (231) 873-4909. 4 - Lakeside Links Golf Club, (231) 843-3660. 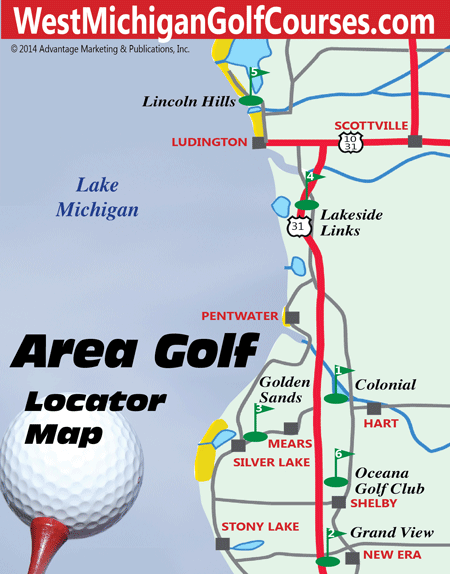 5 - Lincoln Hills Golf Course, (231) 843-4666. 6 - Oceana Golf Club, (231) 861-4211.